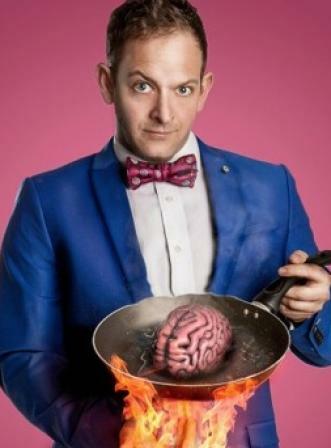 The name of Neil Henry’s show, Magical Mind-squirm, should maybe have been a clue that this was not a show aimed at unaccompanied adults. Then again, Fringe names can’t be trusted. Joseph Morpurgo’s show Soothing Sounds for Baby, for example, is quite subtle observational comedy, and would be completely wasted on the 0-2 crowd. To complicate things further, Neil’s show has a PG warning which, frankly, is nuts. This is an excellent show to take kids to -there is nothing here that could even vaguely disturb even the most conservative of five year olds, and much that will delight them, in the way that regurgitation and dirty sock jokes do especially thrill the small people. The tricks are genuinely impressive and delivered in an upbeat, almost gleeful fashion, as if the man cannot believe it himself. If a warning were to be issued, it should, if anything, be a warning against coming here with cynical teenagers, or on a date. Neil’s slight of hand is genuinely impressive, and his manner charming, but most fully autonomous bill-payers do not enjoy being referred to as “Mind-squirm cadets” or react so gleefully to Neil’s relentless, lounge-style wackiness.